Definition at line 54 of file ModuleSummaryAnalysis.h. Definition at line 675 of file ModuleSummaryAnalysis.cpp. Definition at line 693 of file ModuleSummaryAnalysis.cpp. Definition at line 698 of file ModuleSummaryAnalysis.cpp. Get the index built by pass. 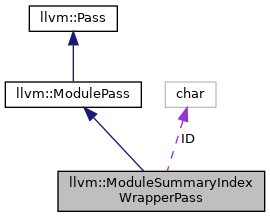 Definition at line 63 of file ModuleSummaryAnalysis.h. 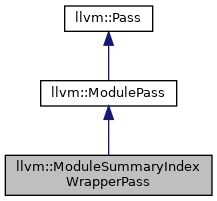 Definition at line 64 of file ModuleSummaryAnalysis.h. Definition at line 680 of file ModuleSummaryAnalysis.cpp. Definition at line 58 of file ModuleSummaryAnalysis.h.